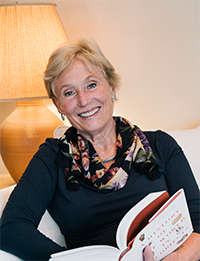 As a family therapist and an executive coach, Rosamund Zander develops models for leadership and effective action. Her work is detailed in her books, The Art of Possibility and Pathways to Possibility, and present a synthesis of her work and the leadership practices of Boston Philharmonic conductor Benjamin Zander. Ms. Zander�s work is based on the idea that creativity is an innate adult capacity. She offers intuitive, inventive coaching for effective personal and professional relationships. Rosamund Zander works with corporations, institutions and teams to leave behind a system of �business as usual� and enter an abundant and generative realm. She has designed programs for global corporations as well as government agencies and has presented workshops in a wide variety of settings. Clients include the following organizations: Hampton/Hilton Inns, IBM, Whirlpool, The Bureau of Public Debt, Harvard Medical School and Carnegie Mellon University. She also conducts a long-term Accomplishment Program for individuals and groups committed to completing major projects.